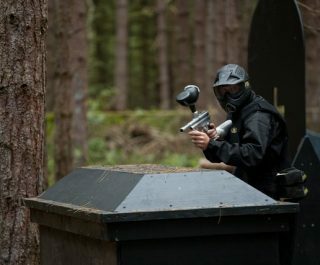 Looking for the best paintballing venue in Orpington? Then look no further! 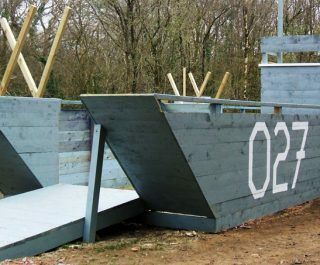 The Delta Force South East London Paintball Centre is located in 30 acres of stunning woodland and provides a great day out for players aged 10+ years. The Orpington Paintballing Centre is centrally located being close to Junction 4 of the M25 motorway, suitable for residents of Sidcup and Croydon. 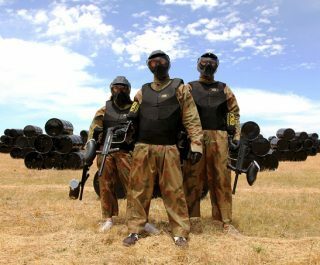 The Orpington Paintball Centre is based in leafy surroundings, which provides an exhilarating paintball experience in a woodland setting. 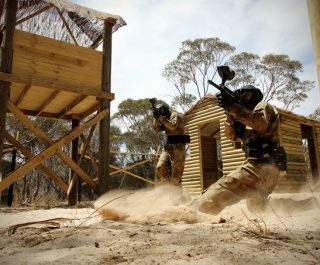 The local Bo Peep Pub serves as a landmark to help guests find the paintball centre. 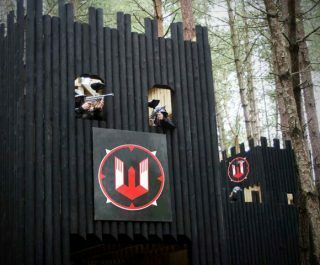 With five varied game zones, including the famous two-storey Castle Wallenberg, the atmospheric Vietcong Village and an extensive D-Day landing game zone, your visit to our Orpington Paintball Centre near South East London is guaranteed to be an action-packed day. Please note for anyone seeking to play paintball in London or paintball in Kent, this will be one of your most convenient options as Orpington has excellent rail links to central London, the Kent countryside and the coast. Book the Orpington Paintball Centre now by visiting the paintball booking page or calling our events team 24 hours a day, 7 days a week on 0203 869 9301*.